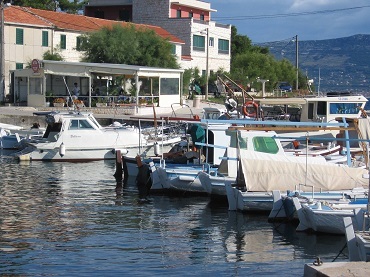 Slatine, small fisheries and touristic place, is located on island Ciovo, only 7km away from Trogir. 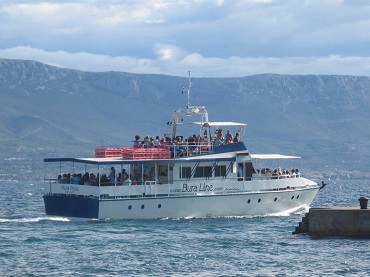 Island Ciovo is connected to Trogir by bridge, so it is possible to come in Slatine by car. 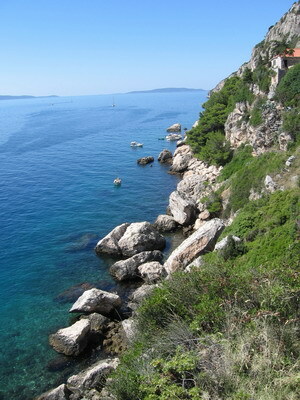 Here, you can find all necessary for pleasant vacation (authentic restautants, grocery shops, bars...). There are also fields for football, basketball and boching for those enjoying in sports. Clear sea and gravel beaches, spreading along the coast of Slatine, and then continuing to the south part of the island perform a miraculous ring of attractive places for ideal rest and relaxation. The beaches located eastern from Slatine are specially attractive, no matter if you are looking for a long pebble beaches full of people, or small isolated places offering full privacy. We recommend You also the trip to the small church "OUR LADY OF PRIZIDNICA ", that is chiselled in rocks at the other side of the island. From the labeling of the church, we find out that the church "PRIZIDNICA" was built to the spotless Virgin Mary's honor in the year 1546.